We offer mindfulness workshops and immersions to firefighters, paramedics, police officers, and lifeguards. 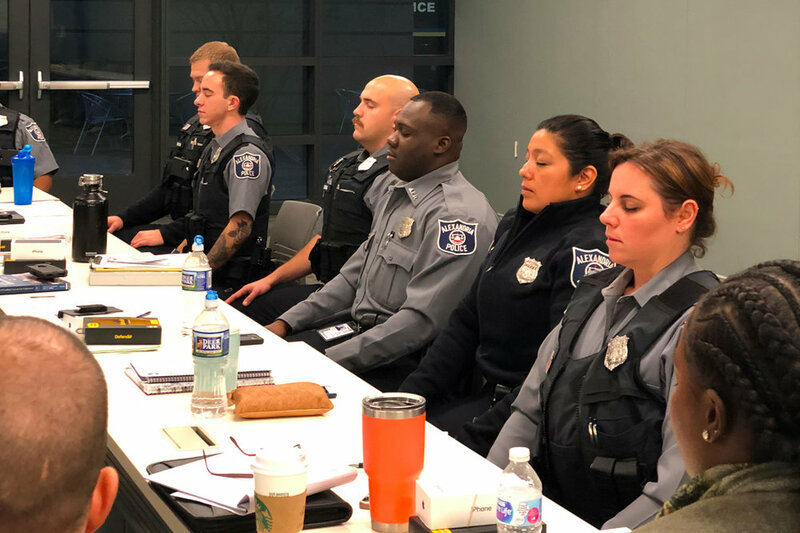 Our workshops teach first responders to manage stress on and off the job through mindfulness. Our weekend immersions give first responders a chance to rest and unwind, as well dive deeper into the science and practice of mindfulness. Tactical Brain Training is an educational lunch and learn style workshop that introduces first responders to the science and practice of mindfulness. The three-hour event includes lecture, mindfulness practice, lunch, and group discussion. The science of mindfulness: how it works to decrease stress by rewiring the brain. How to identify triggers and de-escalate emotional responses to chaotic and traumatic situations. Real time - on scene - techniques for focus and concentration during emergent encounters. How to reorganize the mind to respond to stimuli, rather than react based on past experiences and conditioned behaviors. Experiential exercises that increase focus, attention, and self awareness (otherwise known as meditation). How to create an individualized mindfulness practice you can use anywhere, anytime so you can be there for others, and for yourself. We offer these trainings in-house to police officers, firefighters, paramedics, and lifeguards. To request a Tactical Brain Training for your department, click here. Our weekend immersions give first responders a chance to rest and unwind, as well dive deeper into the science and practice of mindfulness.